Ever since that incredible Cyberpunk 2077 reveal at E3 earlier this year, the team over at CD Projekt RED has been doing a phenomenal job at explaining the game at this point in time exactly as it is. From a full web series breaking down the reveal trailer frame by frame, to clarifying how it differs from their previous hit RPG series - the studio is doing phenomenal work and it shows. Now the latest reveal comes hot on the heels of a recent screenshot revelation, this time delving more into the concept art behind what we've see thus far. 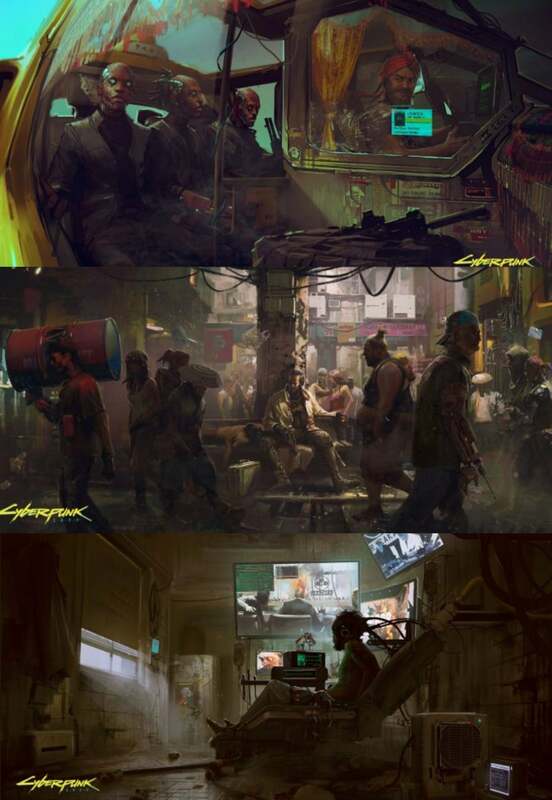 We still don't have a release date yet for Cyberpunk 2077 but I honestly feel it will be a few years off before it hits shelves. But trust us ComicBook family, it will be worth the wait. "The game follows the story of V — a hired gun on the rise in Night City, the most violent and dangerous metropolis of the corporate-ruled future. A robust character creator will allow players to choose V’s gender, visual appearance, character class, as well as historical background — all of which may influence the shape of the game. With dozens of hours of main story arc quests, and many more of additional activities, there’s always something to see and do in Night City. Players will experience all of it entirely through V’s eyes, with an interactive dialogue system that gives them greater narrative agency."